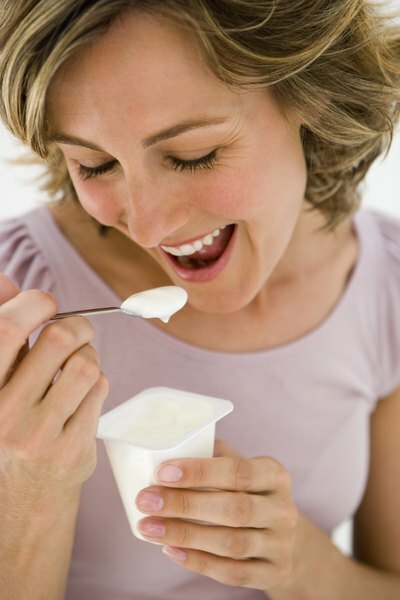 Snack on calcium-rich yogurt to improve bone health. You take care of your skin, your hair, your nails to look good on the outside, but you can't forget about how you look on the inside. With osteoporosis affecting nearly half of all women over 50, bone health is an important concern. While you may not be able to reverse bone loss, the good news is that both exercise and diet can help prevent further loss, and improve the strength and health of your bones. Your bones need the minerals calcium and phosphate to make new bone and keep them strong. During your younger years, your body is able to create new bone and reabsorb old bone to keep bones healthy and strong. As you get older, your body creates less new bone, and reabsorbs the calcium and phosphate from your old bones, making them weaker and brittle. Most women don't even know they have bone loss until they've fractured a bone. If your doctor thinks you are at risk for bone loss, she will order a bone mineral density test to determine your bone mass and need for treatment. 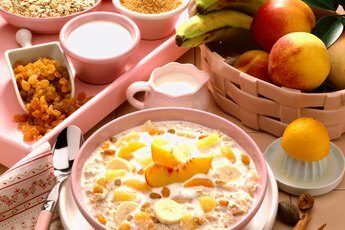 It may seem obvious, but if you want to make your bones stronger and prevent further loss, you need to get enough calcium in your diet. You also need to make sure your body absorbs the calcium you eat, which is why you also need to get enough vitamin D. Women need 1,000 to 1,200 milligrams of calcium, and 400 to 800 International Units of vitamin D a day for bone health. Dairy foods, including milk, cheese and yogurt, are all great sources of of calcium and vitamin D. You can also boost your calcium intake by eating leafy greens, such as collards, kale and broccoli. You can pair your greens with omega-3 rich fatty fish -- salmon, tuna and mackerel -- which are good sources of vitamin D.
Exercise is another great way to slow bone loss and help improve bone density. Both weight-bearing and muscle-strengthening exercises actually stimulate your bones to make new cells, which slows bone loss. 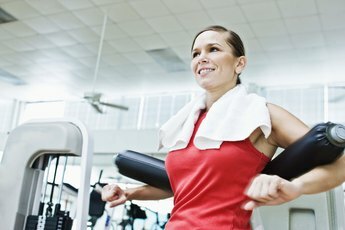 Weight-bearing exercises include fast walking, jogging, tennis and dancing. Lifting weights, pushups and crunches are examples of muscle-strengthening exercises. 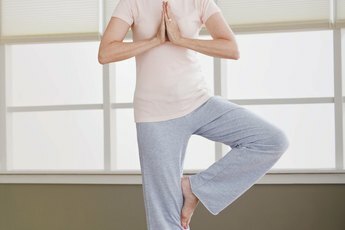 Exercise also improves your muscle strength, flexibility and balance, which may help prevent falls that lead to fractures. When it comes to making changes to your diet and exercise routine, it is important to first talk to your doctor. While exercise is a great way to improve bone mass, high-impact exercise, such as hiking, may be unsafe, especially if you have a history of bone fractures. If you drink alcohol, discuss its use with your doctor. While small amounts of alcohol may be good for your bones, according to the National Osteoporosis Foundation, too much can weaken them. Plus, drinking increases your risk of falling.